This is such a quick and tasty curry! 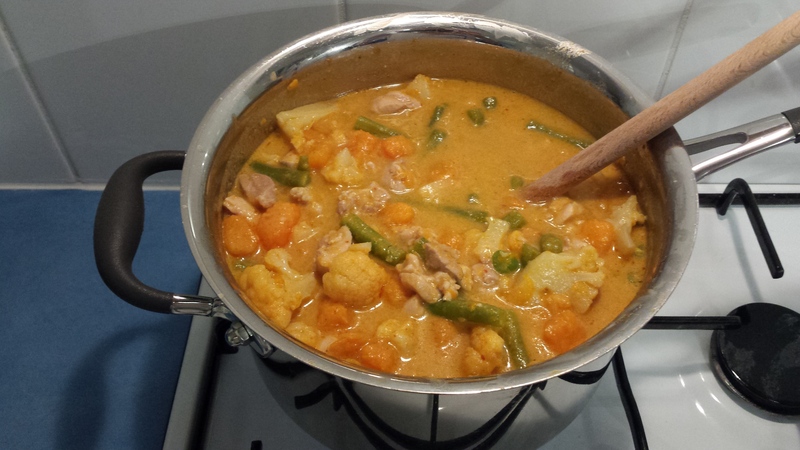 Place coconut milk, stock and curry paste in a large saucepan and stir well to combine. Dice the potato and add to the curry mix. Bring to a gentle simmer. Dice the chicken, about the same size as the potato, then add to the potato mix. Allow to simmer for 10 minutes then roughly chop and add the cauliflower. Simmer for a further 5 minutes before adding the chopped green beans. Serve with rice and your preference of sauce quantity. This made enough for about 8 adults. 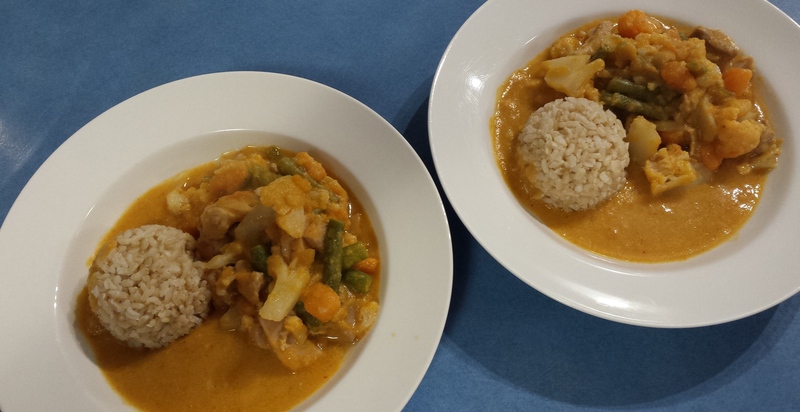 For a delicious vegan option for this curry simply omit the chicken and bulk up the other veggies. I have done this recently and no-one in my family even realised! 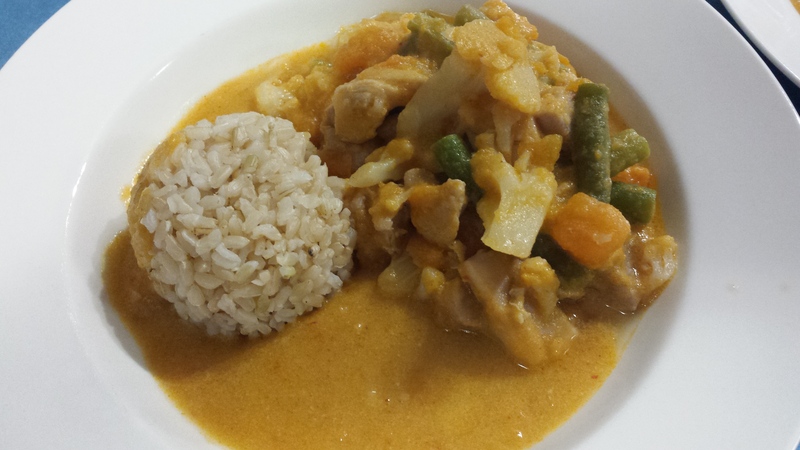 I love coconut curries! I bet shrimp would be delicious in this too! I have never been a big fan of coconut and neither has my husband, but we were both really surprised at the lack of overpowering coconutty taste to this one! Shrimp, or prawns in Australia, sounds like a fabulous alternative! Yum!